Contact us about observing a free interactive lesson! You are indeed the PREMIER Suzuki teacher and we are so fortunate to have had our grandsons studying with you. You have done so much for Elias & helped him to express himself through music, especially during adolescence – a difficult time as we all know! We have been blessed to be part of your studio. It truly has been an amazing experience. I was fearful and doubtful that the program would work for us, but you have such a way with the students, and families, it was all so positive with great gratification and success. Thank you so much for all your support! We were thrilled beyond belief yesterday with the beautiful music & the exceptional performances of your senior students. Thinking about it will keep us in high spirits for weeks to come! Thank you, thank you, thank you, for being such a patient, caring, and competent teacher and producing such dazzling results in both our grandsons! Ms.~ Eloisa has taught me to.never to give up when things get hard. She has given me a lot of amazing opportunities that have helped me grow. I think it’s good because you get to learn at your own speed. Then, you get to show off what you learned in a concert. After the concert, there are refreshments and sweets and no one cares how many you eat. Eloisa teaches her students to have an appreciation for music and much more: patience, determination, caring, attention to detail and striving for excellence are all life lessons that reach beyond music. Thank you so much for teaching me violin. You have been a great teacher so far and because of that I have great opportunities at school. Also it is always fun to go to lessons and have you teach me. You make it so fun. Having spent 7 years with Eloisa, I have seen growth, dedication and a love for music that has gone beyond any expectations. 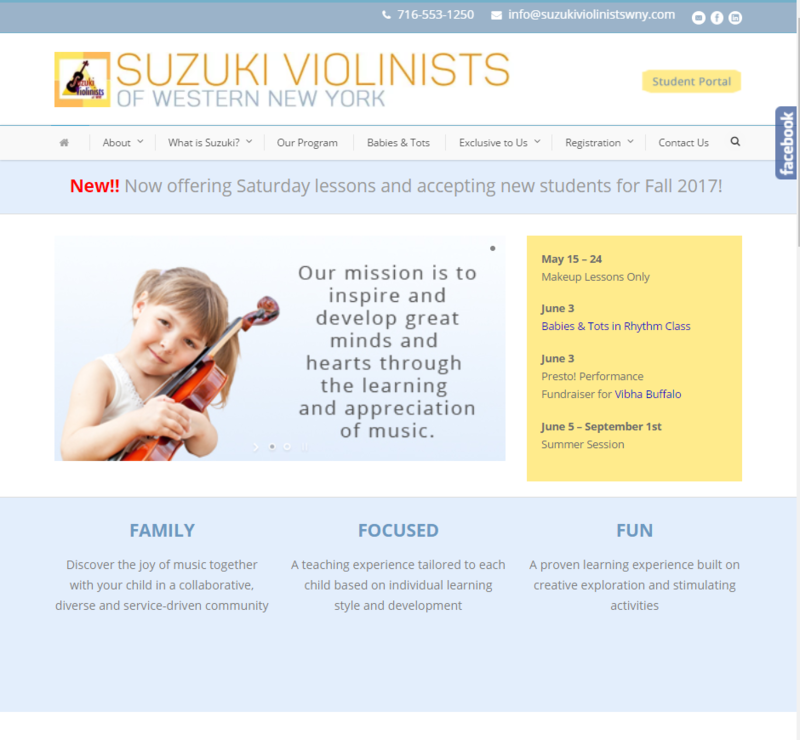 You are a great violin teacher! I have learned so much from you. 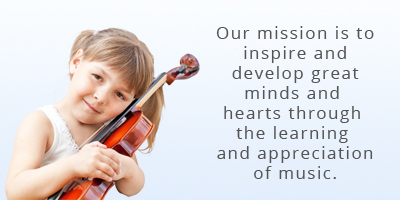 You and your Violin Studio have played an important role in fulfilling the mission for our building and it’s use. To make a positive difference not only in the lives of it’s members, but in the community as a whole. We hope we can continue to partner with you in the future. I was fearful and doubtful that the program would work for us, but you have such a way with the students, and families, it was all so positive with great gratification and success. Thank you so much for all your support!